I am tired. I am soooo tired. That’s because I was dragged out of bed — I mean gently awoken by my loving grandparents — before 4 a.m. this morning so I could be in costume and ready to perform before 5 a.m. 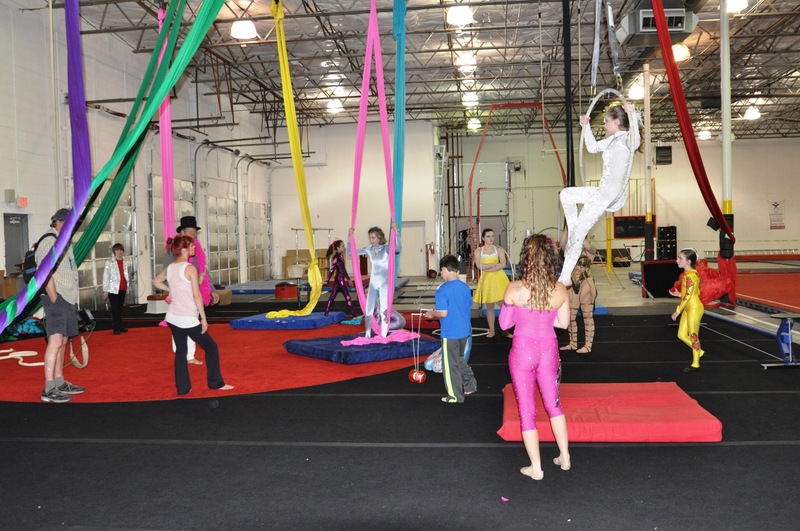 I love Lone Star Circus, where I’ve taken classes since I was 7. But at 5 a.m., when a lot of the performers were running around smiling and excited about the TV crew setting up for live shots, I was sitting in the corner trying to stay awake. I’ve had a lot of practice with early mornings and late nights on set, so I’ve learned to rest until they actually need you. No need to expend too much energy until you have to, right? There is lots of waiting around on film sets, commercial shoots, and still photo shoots. But I was on set, ready to go, seconds before the lights came on. The last time I was on this same show for Lone Star Circus, it was the first day of summer vacation. I watched the sun come up (literally) while performing that day while everybody else from school was snoozing away. I was thinking that I could have slept all day. Today’s a school day, so even though I had to get up three hours early, at least I’d have had to get up anyway! Here’s a link to the WFAA TV segment we filmed this morning. 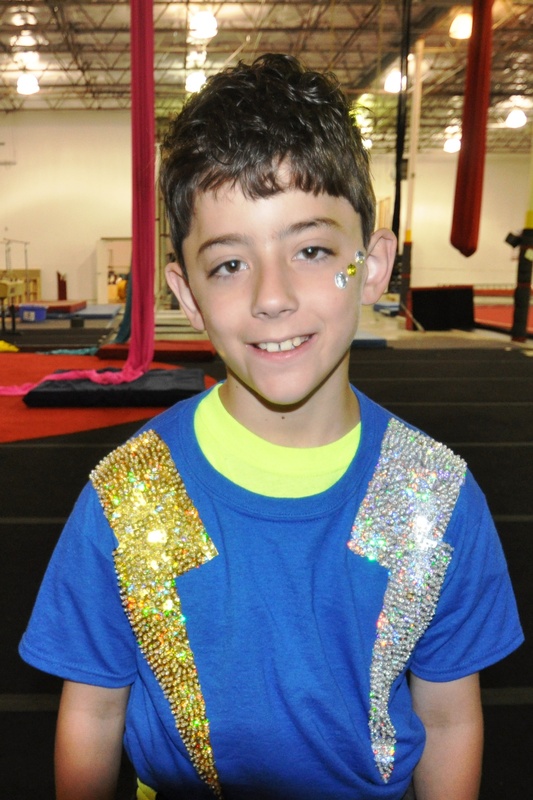 Charlie and I (with a third juggler, Thomas) will be performing together in the Lone Star Circus show “Cha Cha Cha” next week at the Granville Performing Arts Center in Garland. 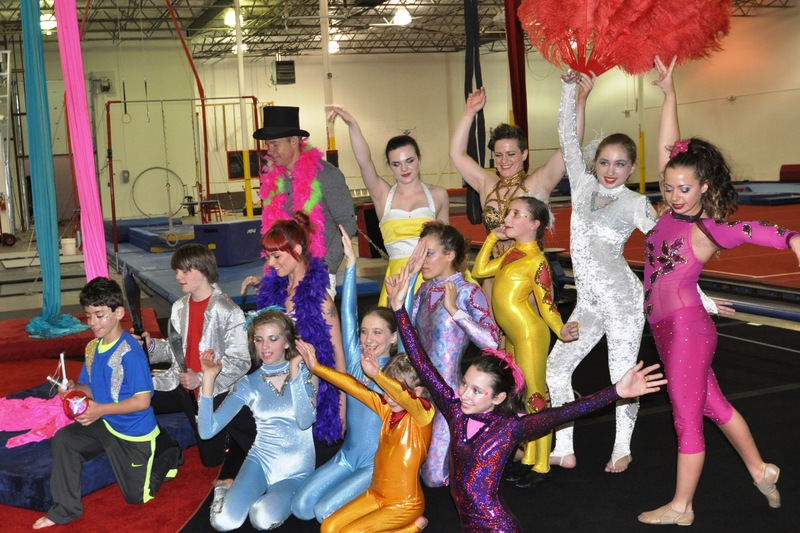 Brian Glenn and a crew from WFAA TV (he’s the one in the top-hat and feather boa) telling everyone where to set up for the segments on the Lone Star Circus School’s 2015 summer camps. They wound up putting me behind the reporter (everyone else was in front of him), so on the video you can see me juggling knives while he talks. In circus, photos like this are called “style and smile” images because that’s exactly what you do: you pose for applause or pictures.